Before I sign off for the weekend, I better announce the lucky winner of the Poppy Tree Frames giveaway!! Congrats to you, I know you’ll treasure whatever frames you choose!! And to everyone else, have a fantastic weekend! Erin- it is so beautiful and calming. So when can I move in?? I don't think I have one bad thing to say about this house. Everything has been so thoughtfully carried out. I am serious when I say I could move in right away!! 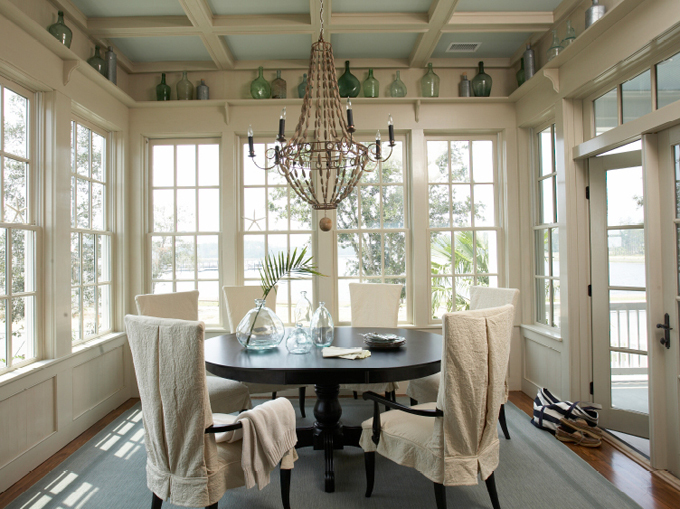 I love those vintage green/blue glass bottles in the dining room. Does anyone know where to find them or a proper name for them so I can search online? Nevermind! I think I may have figured it out, Pottery Barn calls them "oversized wine bottles"
Wowee!! This house is so beautiful, every last detail is so well thought out. PS Saw that you're coming to blogfest!!!!!!! Me too 🙂 We finally get to meet!! Ooh la la what a gorgeous home! I had to pin that breakfast room, it's pure heaven to me. 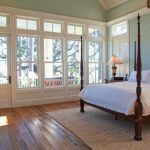 Any idea how I would find out the paint color used in the bedroom with the plates above the bed and oar fan? Painting my kitchen and that is the EXACT color I am looking for and can't find. 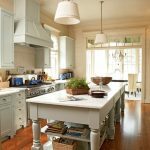 I was looking for paint colors too…those kitchen colors are so beautiful and subtle. Erin, thanks for finding all these great designers and their beautiful rooms! Love EVERYTHING about it! I could move right in! Thanks for the intro to another standout designer! Thanks so much for introducing us to this designer. Her aesthetic is what I strive for and her colors are impeccable! LOVE!! Essa casa é linda, maravilhosa! Erin, não sei se você me entende, se quiser posso traduzir no google e depois comentar. I´m soo in love with your blog! it is so full of inspiration and great taste! Fabulous for Friday. Love the images. Fabulous choice for showcasing on this post. Absolutely dreamy. Love your finds…and so glad you share them. Beautiful pics, I love this Style. Just lovely. Style, comfort and practicality all rolled into one! Love…love…love! Thank you for the introduction to a great style setter! I am going to go check her out! Enjoy the weekend. 3 pins 🙂 Love this designer, very classy and yet so welcoming. The color choices are really wonderful. Dahhling beautiful & serene… great post. 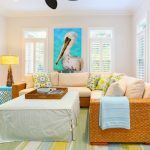 Oh, I was in that house in the first two pictures…I think it was a Coastal Living giveaway or something…it is fabulous, make-me-drool gorgeous! 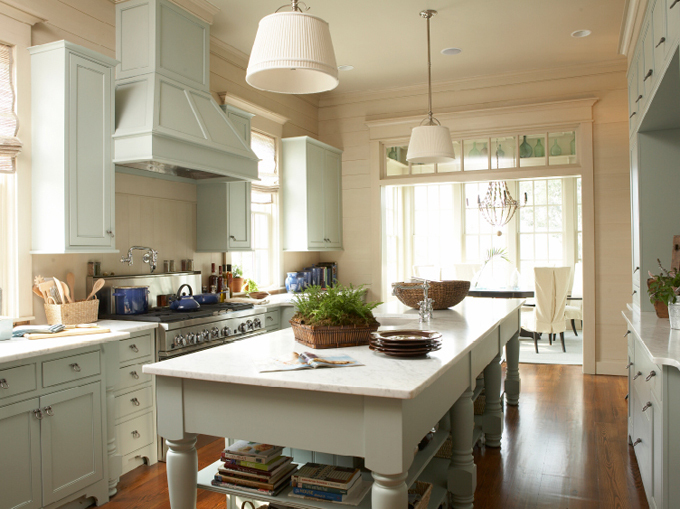 I later painted my kitchen that color..sparkling sage they called it but it had a nice aqua cast. LOVED everything about that place! The bottles are called demijohns. These photos are full of wonderful inspirations. Beautiful post! Lovely and refreshing. 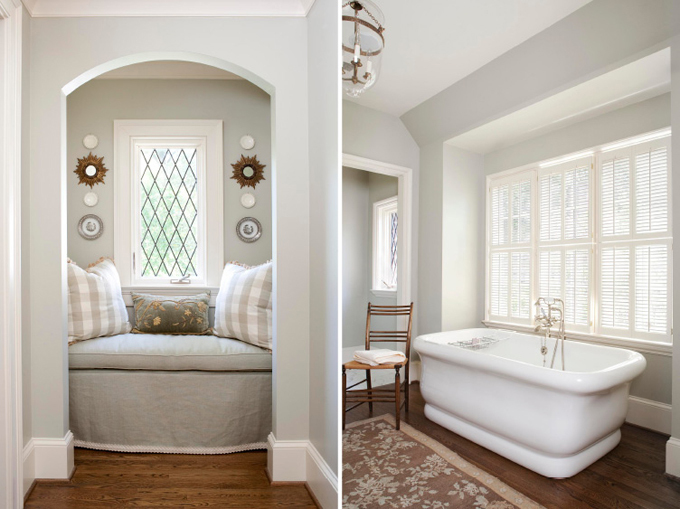 Love that little window seat! Yet again you've turned my eyes to another fab designer Erin! 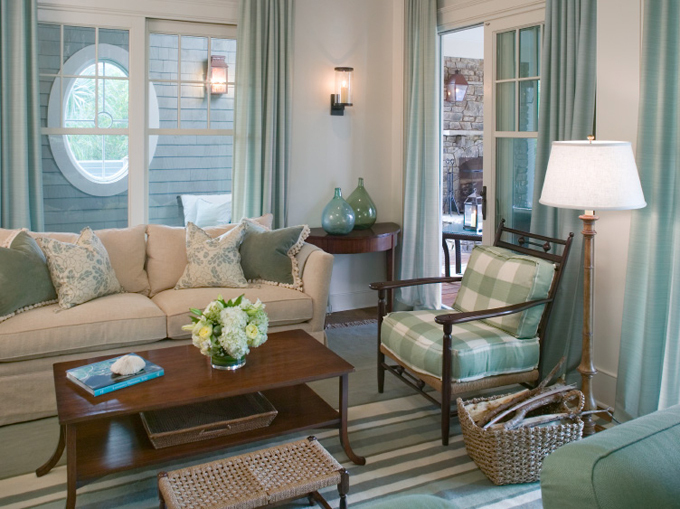 Love the casual elegance of these spaces, and I especially fell for the turquoise painted ceiling inn the dining room! wow, Erin! 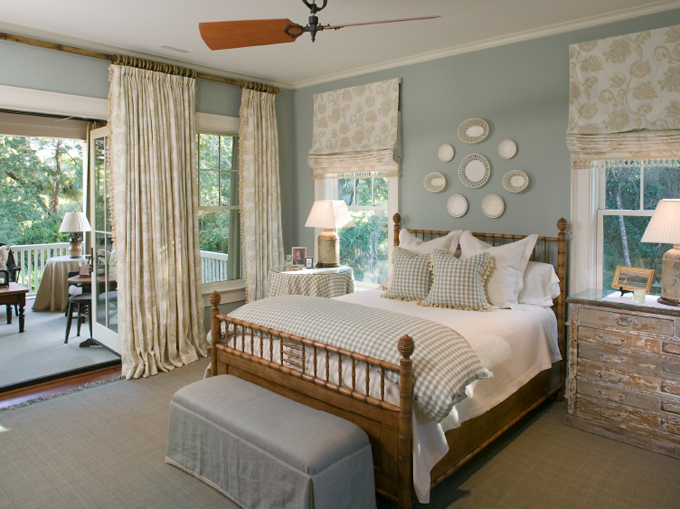 these rooms are all just so gorgeous!! 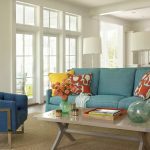 Calming colors and very relaxed. Her portfolio is lovely! What a welcoming home! It is beautiful. One of the most consistently lovely designers I have seen in ages. 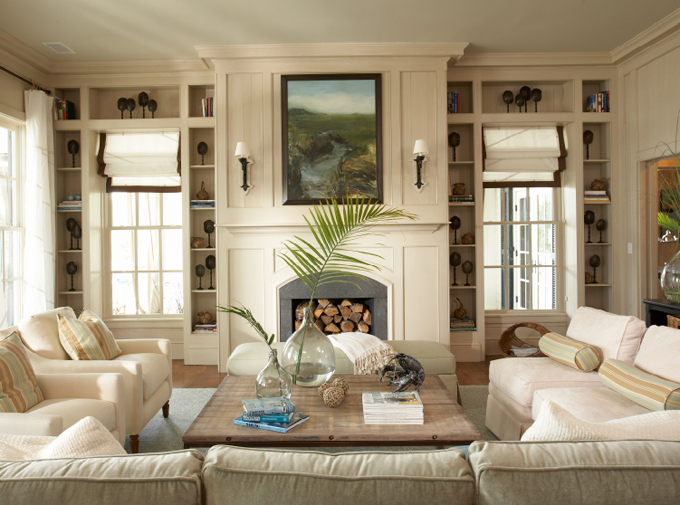 Just had a look through her portfolio and every room and image is to die for. Just perfect. Thanks for introducing me to her. My new favourite! Those vases are fabulous!! Always enjoy your posts!! You just made me love turquoise! Thank you so much for posting my work Erin and for all of the kind comments!